“This path which everyone must walk alone and for himself leads to the purification of beings, to overcome sorrow and grief, to the disappearance of pain and suffering, to attain the right path, to experience Nibbana. It is named the Fourfold Awakening of Mindfulness. (Ven. Phra Ajarn Tong Sirimangalo) and my teacher Khun Thanat Chindaporn, we started looking for a place in the south of Portugal in 2014 to build up a mediation center. In November 2015 Ven. 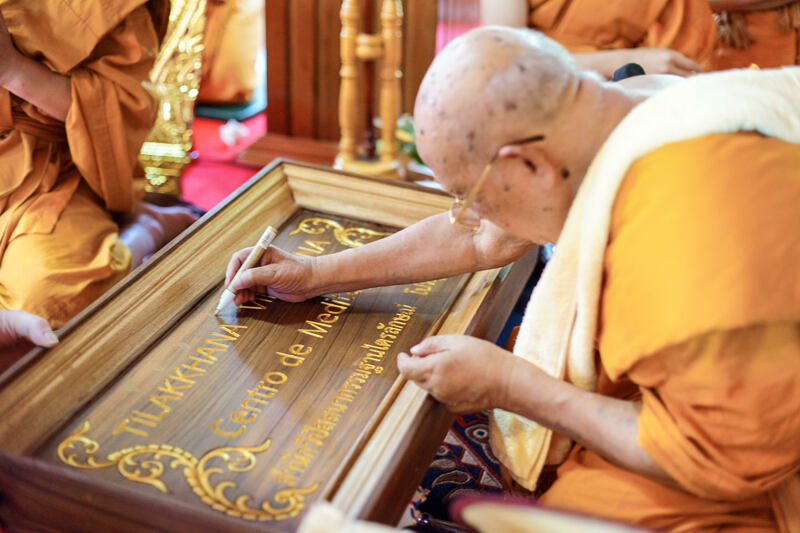 Phra Ajarn Tong gave us the name “Tilakkhana Vipassana” to use it for our “Centro de Meditacao”. Here I want to thank my teacher Khun Thanat Chindaporn for helping me alleviating my suffering. Ti = three; Lakkhana = characteristics; the Three Characteristics, also called the Three Marks of Exictence. The three characteristics of existence are three equal marks. All world beings including us are subject to the law of the three characteristics of existence, which are impermanence (aniccam), suffering that is hard to endure (dukkham) and the state of not being under anyone’s control (anatta). Where are the three characteristics of existence? The three characteristics of existence exist at rupa-nama, being intertwined with the rupa-nama which we are constantly noting. Where rupa-nama are, the three characteristics are also there. It’s like if you see a tiger, you also see its stripes. The importance of the three characteristics of existence. 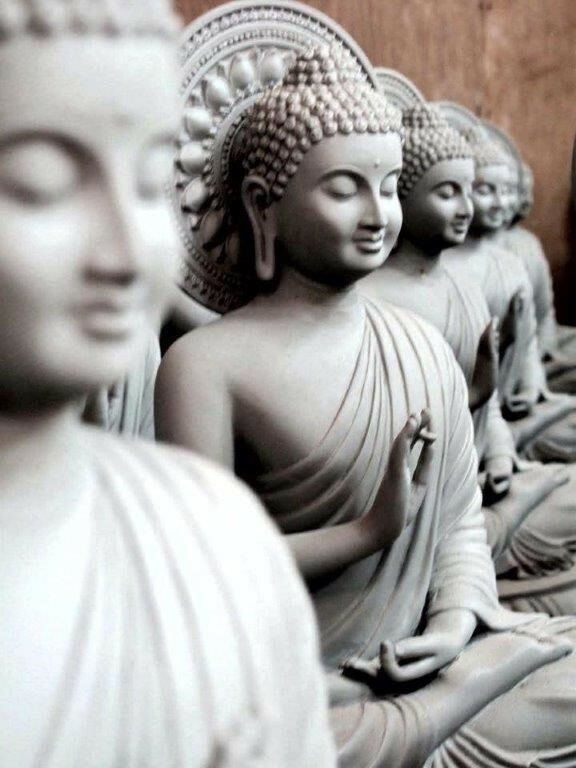 The aim of the practice of vipassana is to disentangle the three outstanding marks of impermanence, suffering and non-self, so that they become clear to the mind, that is, so that they are clearly understood by the meditator. Once there is clear understanding you will be able to see that everything in this world without exception is impermanent, suffering and non-self. The mind won’t be encouraged and it will desire to let go of the desire to have and to own. It will desire to withdraw. Therefore, the three characteristics are like a magnifying glass of dhamma that will focus and enlarge what we see, giving rise to boredom within us, reducing lust and lessening grasping in all beings. The mind will be calm and cool, peaceful and happy. It will make us see the truth that craving (tanha) is the cause of suffering. Nowadays Vipassana meditation is mainly practiced in Burmese, Sri Lankan and Thai temples and is based on the handed down teachings of the Buddha, namely, the Four Foundations of Mindfulness. 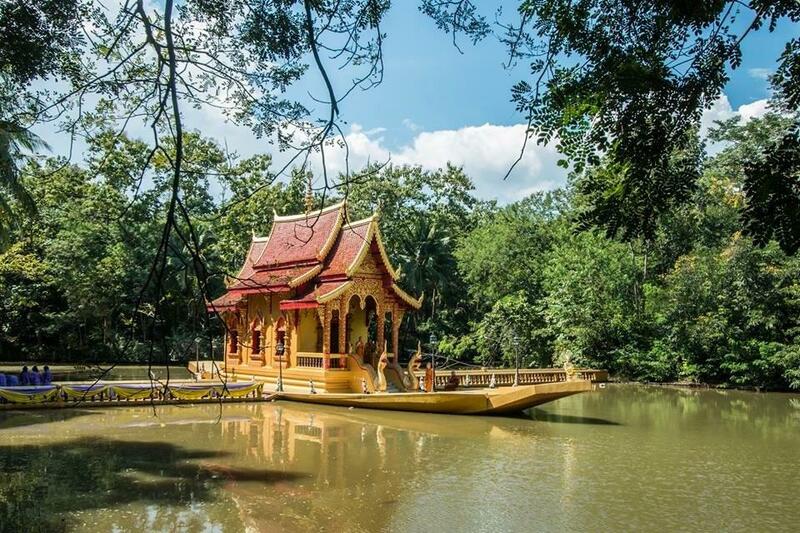 The Vipassana meditation technique in the courses is passed on in the same way as it is traditionally practiced in the temples of Northern Thailand under the guidance of the Ven. Ajahn Tong (Ven. Phra Promm Mongkol Vi). It is an intensive form of the Mahasi Sayadaw technique which includes both Walking and Sitting and is a traditional form of Buddhist meditation. Adhering to the Buddhist religion is neither presumed nor expected.